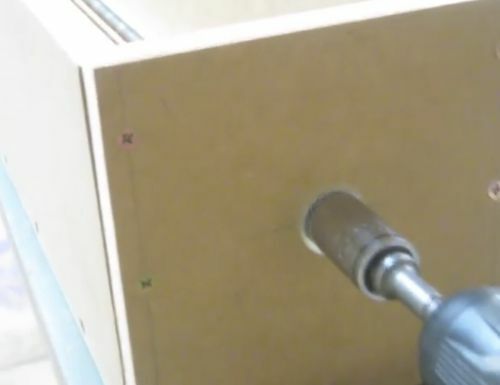 So with nothing to do but binge watch woodworking videos (with a few detours to the funniest animal videos) while I’m recovering from yet another neck surgery I found this interesting jig to make to use with your table saw to joint wood. It’s a pretty cool idea – but the jig itself is not my question. I’ve tried to copy and paste the You Tube link to no avail – but it’s on the DownUnderWoodWorks channel – Flatten timber with your table saw video. 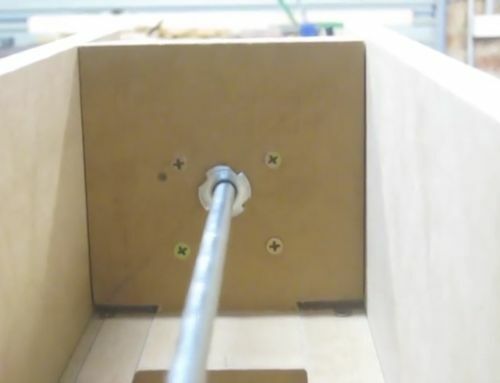 The jig is easy enough to understand how to build and use it – but my question is one part of the jig where the rod is inserted and then he uses a drill to pull the rod tight on the board. I tried to get a picture to show – but alas my electronic skills are once again causing me issues. The part of the video is at the 13:40 mark. I can see that the set up obviously works – but I don’t understand how it works. It seems like it shouldn’t work – but it does. I sure would appreciate someone trying to explain this to me. And if someone can figure out how to get the link and a snap of the rod to insert here – I’d appreciate that to. Thanks all. I appreciate any and all attempts to educate me on the mechanics. Thanks Joe – that’s exactly the video and portion of the jig I have questions about. I appreciate your help. Sorry to hear about the surgery. Hope the recovery is quick. About that jig. Think of the tension adjuster on your bandsaw. As you crank the handle, the tension adjuster (frog) is moved up and down by the threaded rod and captured nut that goes thru the adjuster. This jig uses the same principle in a horizontal- instead of a vertical- direction. The threaded rod of the jig threads thru the T-nut in the movable piece. Because the threaded rod is held captive- by the lock nuts- it stays in a fixed position. Turning the rod causes the T-nut/box end to be pulled/pushed along the rod. Perfect Lew! 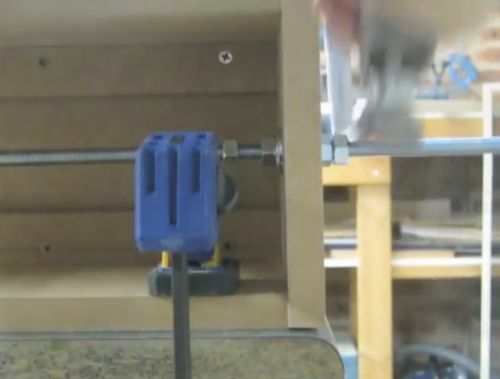 I’d never had thought about the bandsaw tension system. Now the set up makes sense to me. Thank you for your explanation. As to the surgery – some days are good, some not so good. The hardest part is sitting on my bum all day with very little to do. I’ve got at least 8 more weeks of brace wear then, in all likelihood, PT to help retrieve some of the arm and hand strength that I’ve lost. I’m optimistic, but impatient. It is kind of like a vise that grabs from the end and the box is the gage edge to use to keep the cut parallel . while the blade make is straight and flat. It should do the job if you don’t have a jointer! !